When installing tiles the equipment and tiling products that you use are just as important as the tiles themselves. There is a wide range of tile adhesives and grout and selecting grout is about more than simply choosing the right colour. But just what are the different types of grout and why should you worry about which type to choose? Whatever type of tiles you are installing: natural stone, porcelain or ceramic tiles, it is important that the equipment and tiling products that you use are as carefully selected as the tiles themselves. Many people spend hours choosing the right tile to suit their home and the design of the room in which they will be installed but then just grab the nearest pack of tile adhesive and grout without much thought. But there is a wide range of tile adhesives and grout and selecting grout is about more than simply choosing the right colour. Although it is good to know that grout is now available in a variety of colours not simply white or grey so do bear this is mind when making your selection. So what are the different types of grout and why should you worry about which type to choose? The correct grout will ensure that the finished job is long-lasting and that the tiles actually do the job they were intended to do. There is little point installing highly water resistant porcelain tiles in a shower enclosure to ruin the installation by using non-waterproof grout (it does happen!) The right grout will also make maintenance easier. Sanded grout contains very fine sand as an additive to minimise the amount of shrinking that will occur when the grouting dries. It is suitable for joints between tiles that range from 3mm up to 20mm. But because it is abrasive it may not be suitable for tiles with a highly polished finish such as polished limestone or granite because it can scratch and ruin the polished surface. If you have selected polished tiles and plan to have wide grout joints over 3mm then choose your grout carefully. 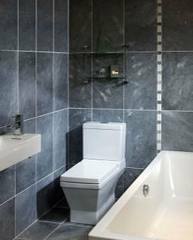 Ask the advice of your supplier or the tile manufacturer for recommended products but also test the grout with a tile offcut before using it for the whole floor or wall area. Unsanded grout has no additives to prevent shrinkage so is only suitable for narrow tile joints of less than 3mm where the actually amount of shrinkage will be small and less noticeable. 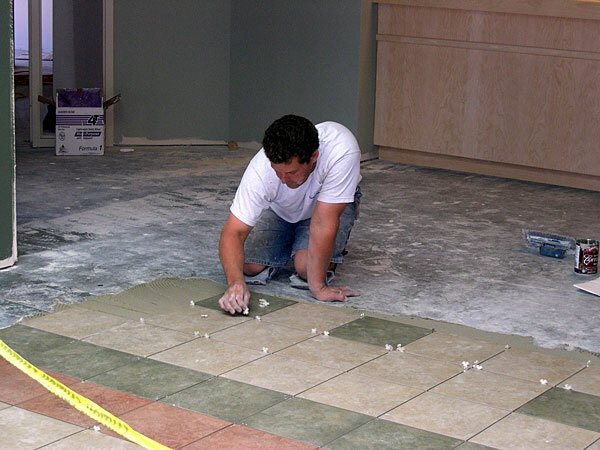 As joint widths increase the shrinkage percentage remains the same but the physical amount of shrinkage will increase and can create a gap between tile and grout. However, unsanded grout is simpler to apply, particularly on walls, because it adheres more quickly so will not slip down to the bottom of the joints. It is also smooth so there is no risk of it scratching the tile surface.